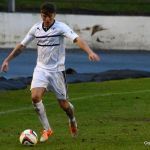 Raith made it six games without a win, and five without a goal, as their poor start to 2014 continued today, after a 1-0 defeat to Cowdenbeath, at a sodden Central Park. 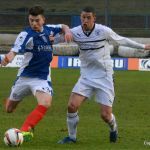 Raith made just one change from their defeat a fortnight ago at Palmerston, with new signing John Baird coming in for Grant Anderson. This meant a return to a more orthodox 4-4-2 formation, with Ross Callachan starting wide on the right. With the park looking heavy, the conditions looked fairly difficult, while the foreboding, grey looking sky suggested that the pitch would be receiving even more rain fairly soon. 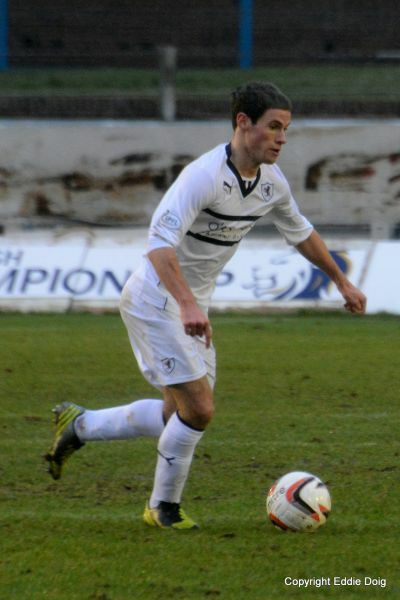 Jon Robertson made light of the tricky surface after just a couple of minutes however, easily evading a couple of challenges down Raith’s right-hand side, before getting to the bye-line and cutting it back. 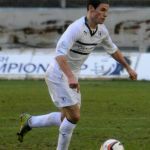 With the roll of the ball deceptively slow across the six-yard-box, Raith were relieved to see Dougie Hill reach the ball first, and lash it clear. Five minutes later it was Hemmings who was creating the danger down that side, again reaching the line, before pulling it back to Fowler, whose shot was gathered well, low down at his left-hand post by Laidlaw. 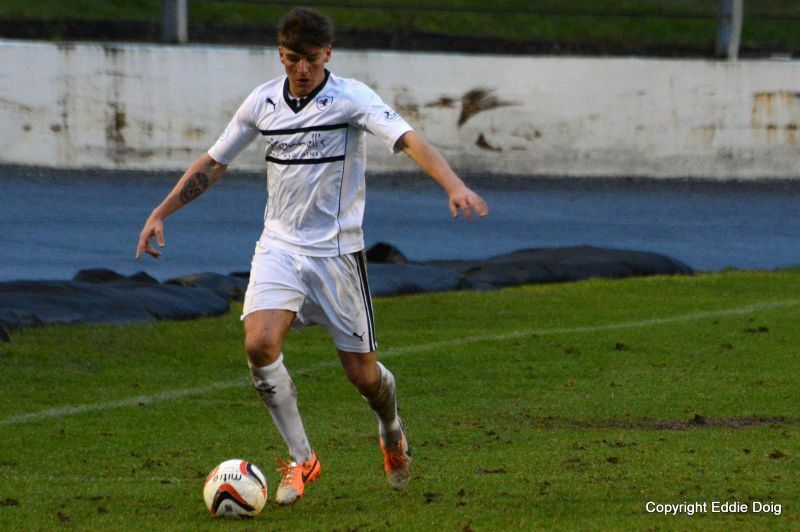 From a Raith point of view, the opening quarter-of-an-hour was fairly anaemic in terms of chances created. 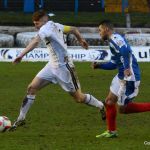 A couple of corners hadn’t amounted to much, while Baird had two speculative efforts, which didn’t trouble Thomas Flynn in the Cowdenbeath goal. By this time, the rain was incessant, making the playing surface even more treacherous. down in the middle of the park, and not just because of the mud. Joe Cardle’s tendency to come inside, allied with the fact that Ross Callachan isn’t a natural wide player, meant that the middle of the park was becoming congested, especially as the home side had lined up with five in midfield. Despite this, it was the two wide midfielders who created Rovers best two chances of the half, both in the space of a few minutes. 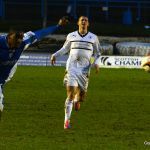 First, Cardle’s dinked ball into the box, saw Baird steal a half yard on his marker, but his header went over the bar. 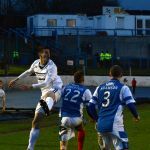 Then, a drilled ball into the penalty area by Callachan found Cardle, whose cross was almost steered into his own goal by Jon Robertson. By this time, the rain had subsided, and so had the majority of the action, with neither side summoning up much in the way of goalscoring chances. 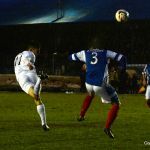 With ten minutes to go till half-time, Jason Thomson had to be alert to intercept a James Fowler pass, after Cowdenbeath found themselves with a three-on-two, after a Rovers corner had broken down. It was a passage of play that summed up the opening period for both sides, and while the drenched turf was obviously having a detrimental effect on proceedings, that didn’t change the fact that both sets of players had contributed to a fairly abject opening forty-five minutes. The early stages of the second period saw no discernible change in the flow of the game. 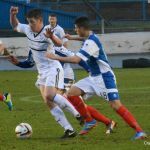 Rovers looked to play it long, much to Calum Elliot and John Baird’s frustration, with the ball often running straight through to Flynn. 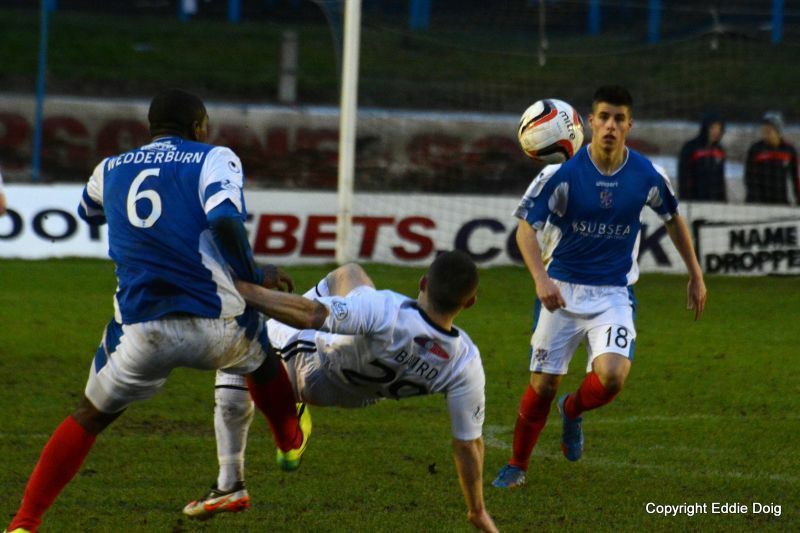 Cowdenbeath should have been a goal up after 50 minutes. 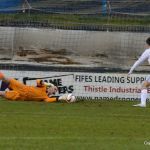 Dean Brett was afforded far too much room down Raith’s left-hand side, and his cross picked out Kane Hemmings, whose diving header was well palmed out by Laidlaw, although the Championship’s leading scorer would have been disappointed by his finish. A minute later it was Greg Stewart who suddenly found himself in yards of space, but again, the end product was lacking, and his shot drifted over from the edge of the box. Rovers first chance of the half came on the hour mark. 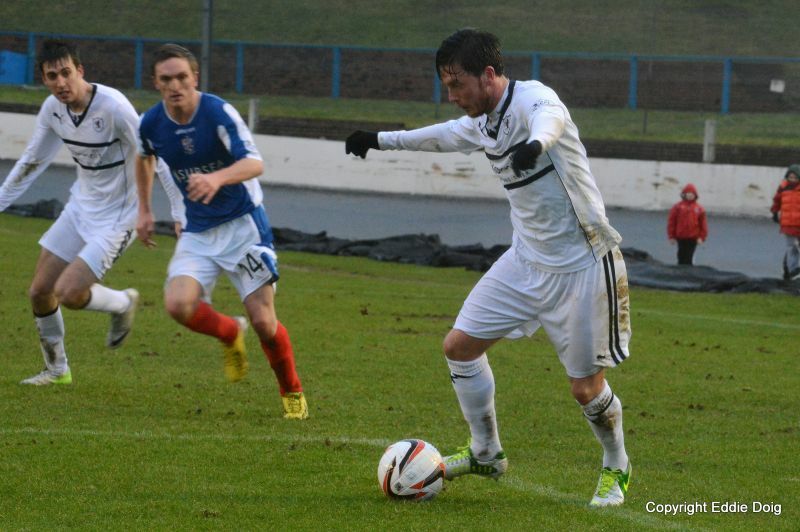 Cardle’s deflected cross found its way to Callachan, but his downward back post header was well gathered by Flynn. Two minutes later, John Baird made his way into referee’s book, after George Salmond felt he’d made a meal of a challenge on the edge of the box. 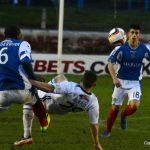 By this stage, Cowdenbeath were starting to turn the screw, and while Laidlaw hadn’t been forced into making a significant stop, the momentum seemed to be swinging towards the home team. Stewart and Hemmings were starting to become a bigger influence on proceedings, while the Blue Brazil’s wide players were beginning to exert some authority. 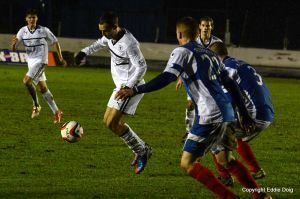 Kenny Adamson’s run and cut back into the box was the next dangerous scenario that Raith had to deal with, but Callum Booth just managed to get a toe on the ball, and the chance was thwarted. The parity didn’t last too much longer however, and the home side deservedly went a goal up, with just over twenty minutes remaining. 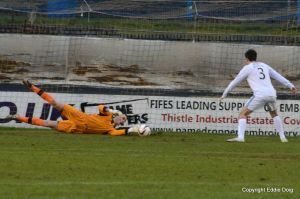 A corner from Raith’s right, was nodded goalwards, and Hemmings bundled it over the line, from just under the crossbar. 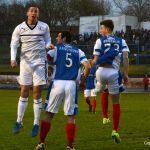 It was a goal that had been coming, and manager Grant Murray immediately made a substitution, swapping Liam Fox for Grant Anderson. Anderson went across to the right-hand-side, while Callachan reverted to the middle. 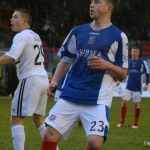 The personnel change made no alteration to the paucity of Raith’s performance however, and five minutes later, Spence joined the fray, replacing John Baird. scorers at this stage were the home side. With five minutes to go, Greg Stewart ran at the defence, before cutting inside, leaving just Ross Laidlaw to beat. 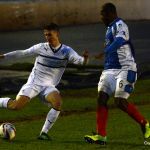 However, with Hemmings hoping for a pass to give him an easy tap-in, his poor shot was easily saved, and Rovers remained in the game. With a few moments to go, Smith attempted to spread the play to Jason Thomson on the right-hand side, but the pass was so far ahead of him, that despite sprinting for ten yards, and a desperate slide to keep it in, the ball still careered off onto the race track. It was a moment that seemed to encapsulate Raith’s error strewn second-half performance. The full-time whistle, brought an end to a poor game, played under wretched conditions, that ultimately provided a desperate result. The Scottish Cup tie at Easter Road next week, may prove a welcome distraction, from a league campaign that has gone somewhat off-track. 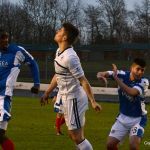 While only 2 points separate Raith from fourth place, it’ll take a considerable change in the teams fortunes, if Raith are to remain in the hunt for a top-four spot. Welcome to a chilly Central Park, Grant Anderson is on the bench, John Baird starts. 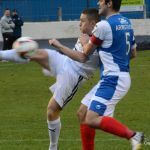 Cowdenbeath kick off towards the curry house. Baird up front, Elliot staying deep. Robertson waltzes past the defence, his lay on was cleared by Hill. Baird tries an overhead shot at goal, his tame effort is mopped up by Flynn. 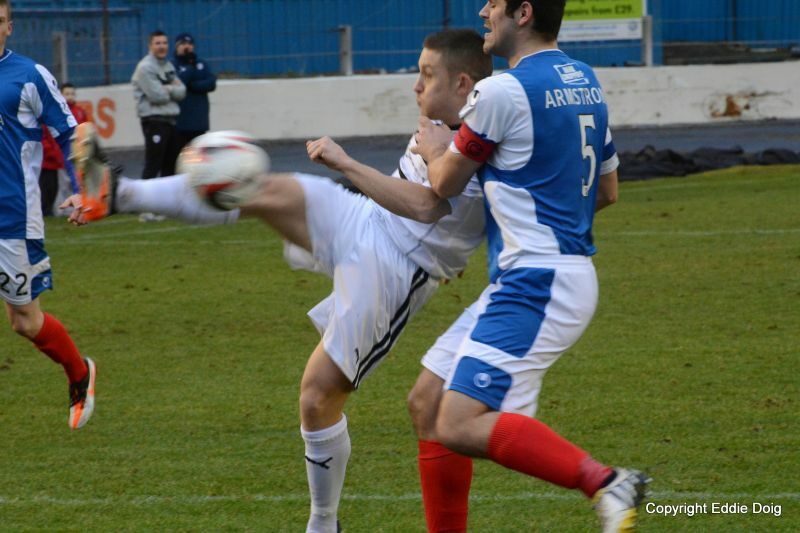 Baird and Cardle win a corner, the latter's cross came off the back of Elliots head for a bye kick. Hemmings played well to supply Fowler, Laidlaw did well to catch the low shot to his left. Cardle and Booth combine to win a corner which was wasted by going long. Hill back heads over the bar as the heavens open up. Booth on a run passes the Baird, but with his back to goal could only try a speculative overhead chip. Moon ushers Armstrong into the advertising boards. Callachan working well to relieve Stewart of the ball after a thirty yard dash. Cardles free kick met the head of Baird who sent the ball a whisker over the bar. Forwards and wingers combine, Cardles effort has to be cleared for a corner. Thomson fires the ball wide of goal when a pass was the better option. The rain is off for now. Fowler takes out Thomson with a sliding tackle, but to be fair, the state of the pitch isn't helping. 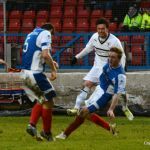 Wedderburn gifts a free kick with a hand ball, Cardle flights the kick over the wall which was met by the diving Flynn. Hemmings offside but this didn't hinder him going for a theatrical finish. Milne catches Moon in the head with a high challenge. 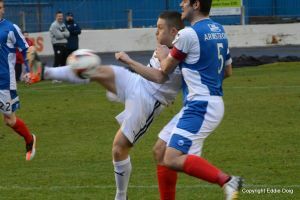 Rovers corner comes out and Cowdenbeath catch the defence out with Thomson saving the blushes. Rovers struggle to clear their lines, Hill bootsthe ball out to eventually call a halt. Brownlie yellow for a bad tackle on Elliot. Mr Salmond calls half time. Brett allowed an acre of space heads the ball goalwards, Laidlaw dived low to his right to recover the ball. Play getting bogged down due to the heavy pitch. Baird homes in on goal, the ref calls an infringement on Flynn. Wedderburn tries a back heel at goal and goes down under his own weight, calls fir a penalty are dismissed. From a corner, Brownlie chips the ball over the defence, Laidlaw calmly collects. 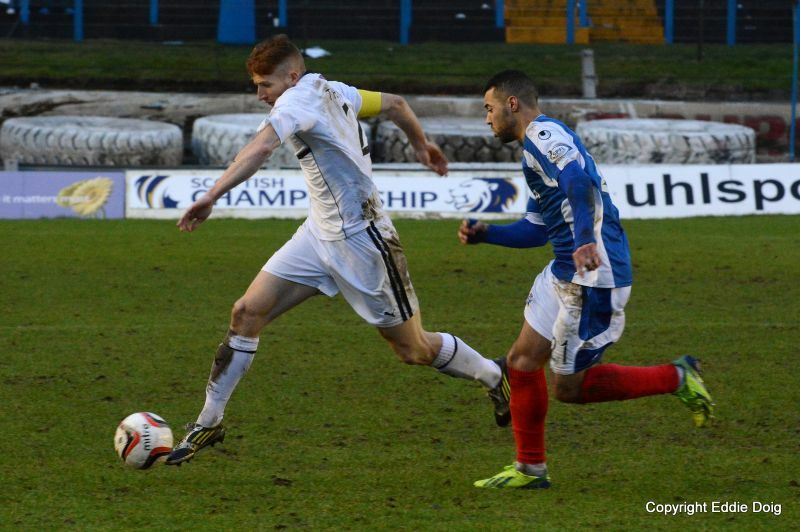 Cardle swings the ball in at the back post, Callachans diving header is smothered by Flynn. Stewart goes through, offside nit given his heavy legs collapse and he looks for a penalty. Carelessness across the back saw Booth toe poking the ball away for some respite. Stewart pestering the defence, Donaldson clears. Mr Salmond administered some advice to Hill. 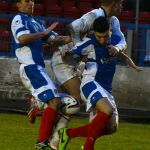 Goal Cowdenbeath, Rovers defense cannot control Hemmings and he converts a corner from two yards. Fowler strikes from thirty yards, his low ball lacked power and was saved with ease. Rovers making no headway on a sodden pitch. The Raith support baying for action. Laidlaw tips a Stewart shot round the post. 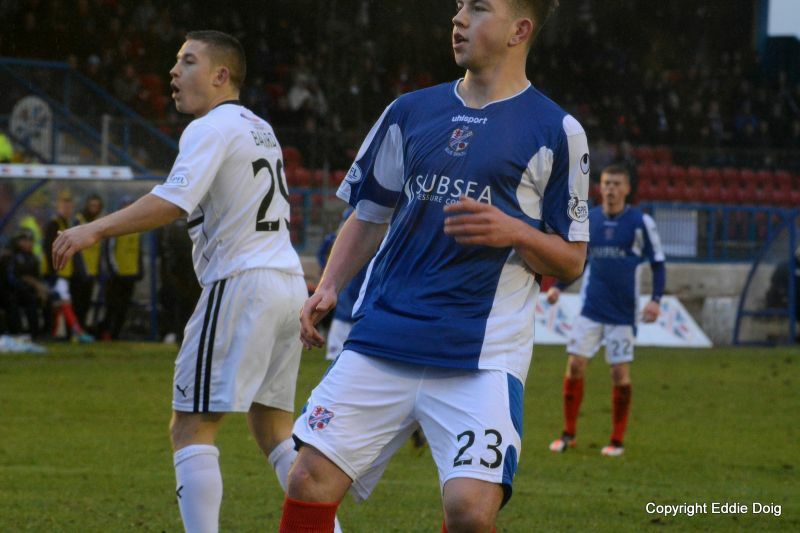 Flynn just gets hold of a Thomson cross to deny Spence. Stewart runs thirty yards and shoots inside the box, Laidlaw dives to his right to save. +2 Stewart yellow for time wasting. Full time. 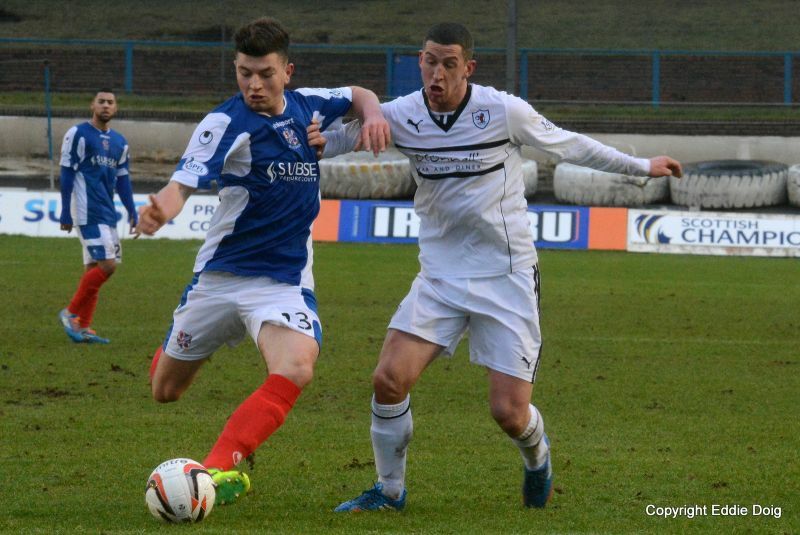 COWDENBEATH: Flynn, Brett, Brownlie, Armstrong, Adamson, Wedderburn, Robertson, Milne, Fowler, Stewart, Hemmings. Subs: Anthony, Usai, Kane, Gold, O'Brien, Morton, Miller. 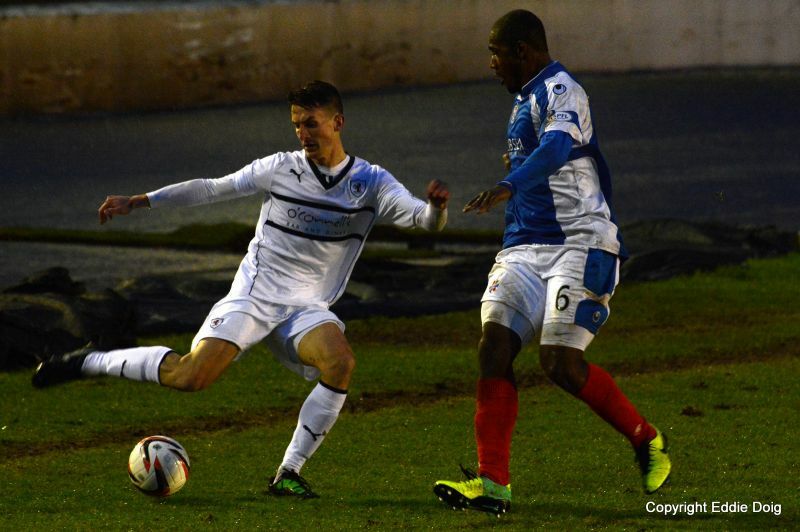 RAITH ROVERS: Laidlaw, Thomson, Booth, Hill, Fox, Cardle, Moon, Elliot, Callachan, Donaldson, Baird. Subs: Spence, Anderson, Smith, Ellis, Mullen, Vaughan, Roberts. 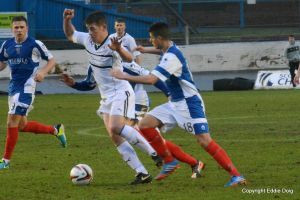 John Baird gets in a cross. Laidlaw makes an early save. Elliot outjumps Armstrong and Brownlee but no ball! 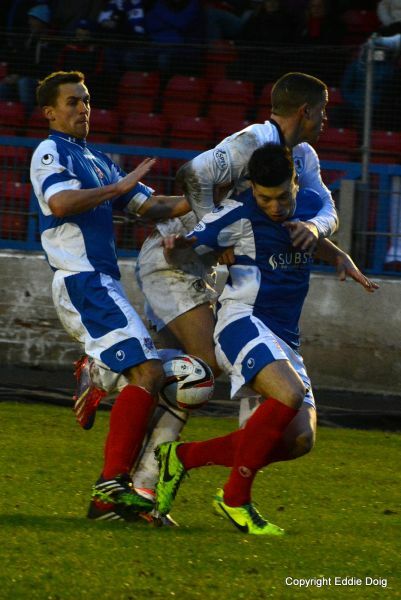 Dougie Hills back flick goes past the far post. 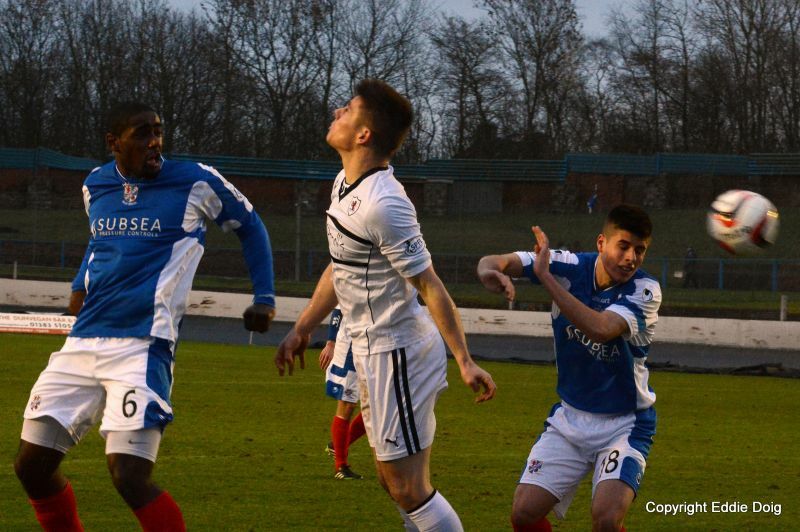 Dougie Hill dances his way forward. 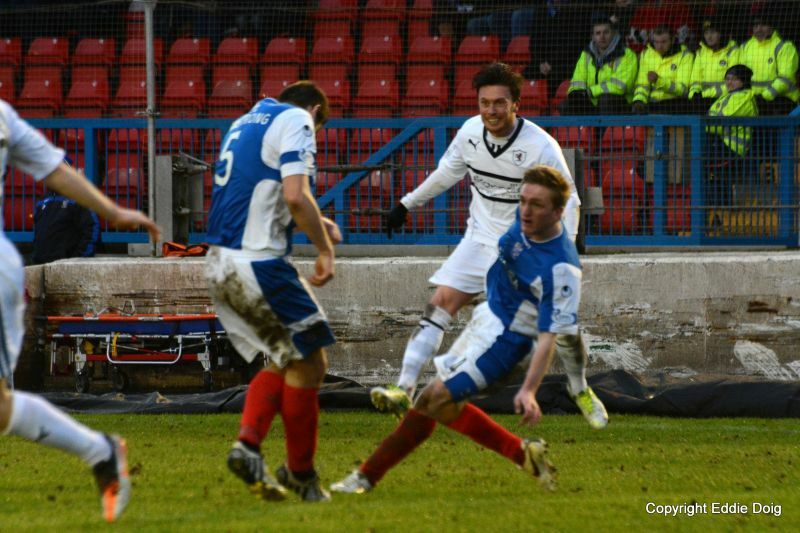 Cardle prepares to cross from just inside the box. 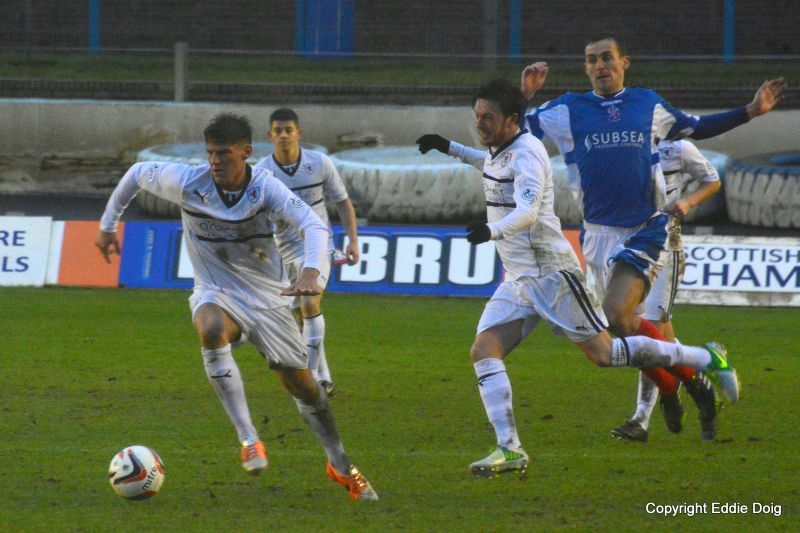 Elliot and Brownlie at arms length. 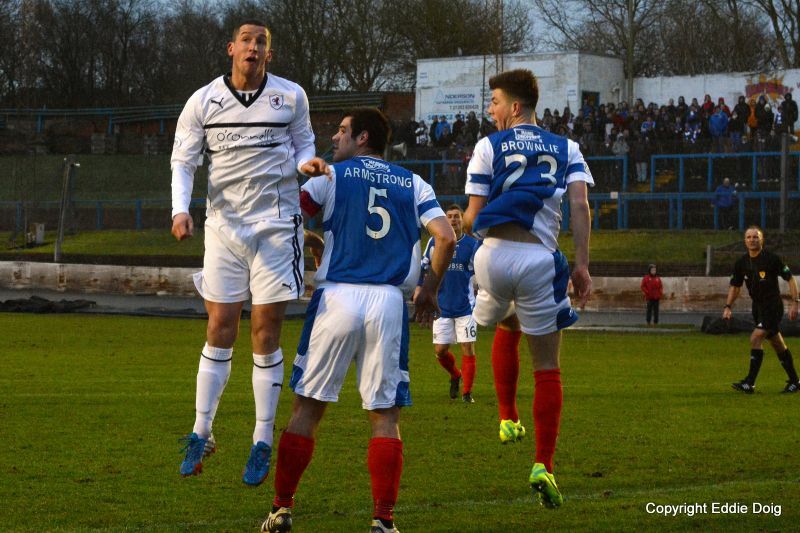 Ross Callachan prepares to fly up the wing. 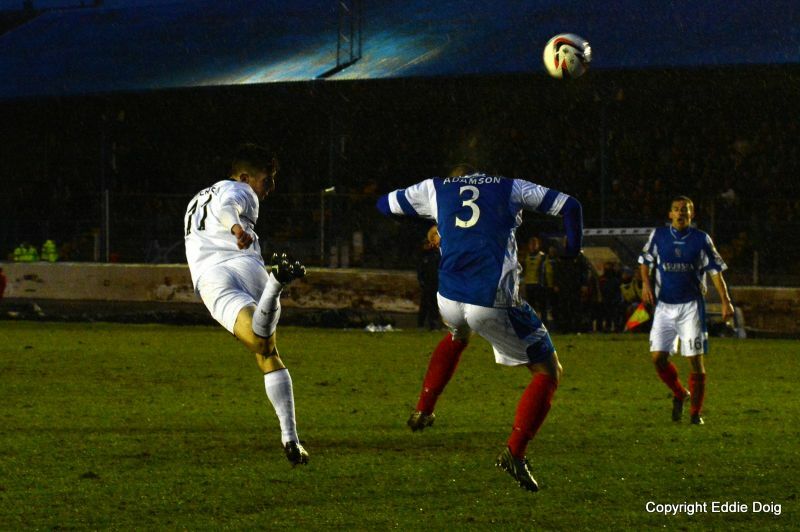 Kane Hemmings at the back post scores for Cowdenbeath. 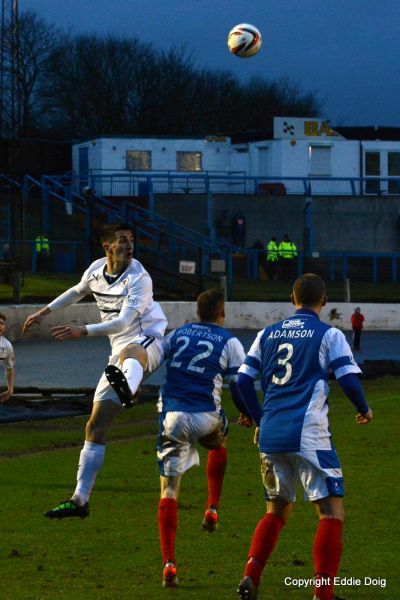 Sub Grant Anderson wins the header. 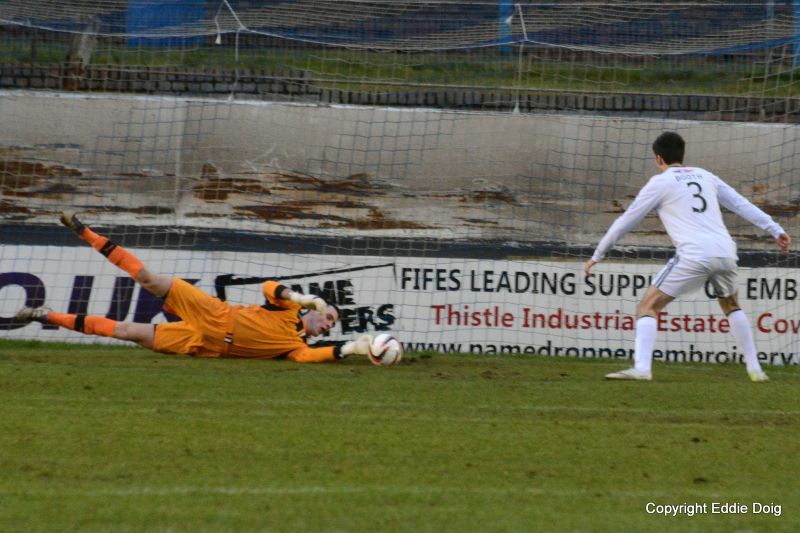 Elliot can't hide his disappointment as Wedderburn heads back to his keeper. Grant Anderson on the touchline. Anderson heads over the bar .